According to the report, PSCAA carefully considered all comments submitted, developed responses to the comments, and included changes and supporting documents due to some of the comments received. the FSEIS, the following major conclusions were drawn: •	The use of LNG produced at the facility is predicted to result in an overall decrease in greenhouse gas emissions, as LNG would replace petroleum-based fuels for marine vessels, trucks, and peak shaving. The report states that the greater the replacement of other petroleum-based fuels with LNG, the greater the overall reductions in greenhouse gas emissions. •	The overall reduction in greenhouse gas emissions is dependent upon the sole source of natural gas supply to the facility entering Washington through British Columbia. The SEIS analysis supports the recommendation that the facility’s air permit, if approved, include the condition regarding the sole source of the natural gas through British Columbia as a requirement so the analysis and this conclusion is consistent with the proponent’s project description. Get ready for Summer WITH OUR NEW 2019’S! The two-day conference runs April 8-9 at the Greater Tacoma Convention Center. Force co-chairs Les Purce and Stephanie Solien and a panel on tribal treaty rights. The conference is co-hosted by the Washington State Salmon Recovery Funding Board, Washington Department of Ecology and its Office of the Chehalis Basin and Office of Columbia River, and Washington Department of Fish and Wildlife. Created by the Legislature in 1999, the Salmon Recovery Funding Board provides grants to projects that restore and protect salmon habitat across the state. Learn more at the board’s Web site. Follow the conference on Facebook, Twitter and Instagram at #salmonconf. Thanks to community engagement and design planning completed in partnership with The Trust for Public Land, the playground is fast on its way, with expected completion in summer 2019. Charlotte’s Blueberry Park has long been a popular spot for picking blueberries, but residents have expressed hope for a children’s play area to make the park more inviting. Thanks to community engagement and design planning completed in partnership with The Trust for Public Land, the playground is fast on its way, with expected completion in summer 2019. The playground, situated next to a community garden that Metro Parks recently installed, will have slides, a small climbing structure, balance beams, music play and more. An elevated lookout will let children see over the blueberry bushes. Subdued colors will help the play area blend in with its surroundings. This project was possible thanks to a generous grant from Kaiser Permanente. “It’s a great addition in a part of town that needs a great addition,” said President Aaron Pointer of the Metro Parks Board of Commissioners. “Thank you to The Trust for Public Land for their interest in the people of Southeast Tacoma.” The 20-acre park, named after longtime advocate Charlotte Valbert, was Berg’s Blueberry Farm from 1952 to 1968. Today it includes more than 3,000 bushes representing five varieties of blueberries, all free for the picking by any visitors. The park serves more than 3,600 residents within a 10-minute walk, including more than 900 children. Learn more about the park, and learn how to volunteer to take care of it online at www.metroparkstacoma. org/charlottes-blueberry-park. ONLINE OPEN HOUSE BEGINS FOR FEDERAL WAY TO TACOMA DOME RAIL EXTENSION Sound Transit is seeking additional public feedback on route alternatives and station locations for extending regional light rail from Federal Way to Tacoma. Public input during this public comment or “scoping” period will help the Sound Transit Board and the Federal Transit Administration determine which alternatives to study in the Draft Environmental Impact Statement (EIS) to be prepared in compliance with the National Environmental Policy Act (NEPA) and the State Environmental Policy Act (SEPA). An online open house is available now through May 1 at https://tdlink.participate.online/. Comments may also be submitted via e-mail atTDLEScoping@ soundtransit.org or by mail at: Sound Transit, Elma Borbe, 401 S. Jackson Street, Seattle, WA 98104. You can also leave a voicemail comment at (206) 903-7118. In-person open houses are taking place in April at the following locations: • Fife: 6-8 p.m. Tuesday, April 16 at Fife Community Center, 2111 54th Ave. E. • Tacoma: 6-8 p.m. Wednesday, April 17 at Tacoma Convention Center, 1500 Commerce St. • Federal Way: 6-8 p.m. Tuesday, April 23 at Performing Arts and Events Center, 31510 Pete Von Reichbauer Way S.
MBDA CENTER EARNS REGIONAL RECOGNITION The Minority Business Development Agency (MBDA) Tacoma Business Center recently earned regional recognition from the Northwest Mountain Minority Supplier Development Council (MSDC) for its continued excellence in advocating, including, promoting, and contracting with Minority Business Enterprises (MBEs). MBDA Tacoma Business Center Program Director Linda Lee Womack accepted Northwest Mountain MSDC's Special Recognition Award for her team’s collaboration on Amazon Business’ year-long Global eCommerce Platform pilot project for MBEs. This project also involved establishing a working partnership with MBDA’s office in Washington, D.C. “Fifty-five MBEs have been selected to participate in Amazon Business’ pilot project, effectively introducing them to hundreds of government and public agencies across the country,” said Womack, who also received a Phyllis Gutierrez Kenney Award nomination on behalf of the MBDA Tacoma Business Center from the Northwest Mountain MSDC. The Phyllis Gutierrez Kenney Award is presented to individuals employed by a Northwest Mountain MSDC government agency member who exemplify commitment and dedication to creating business opportunities and advancing minority business successes through the Northwest Mountain MSDC and the community. More information about the MBDA Tacoma Business Center is available at mbda-tacoma.com. 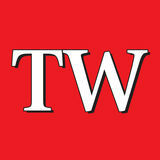 ADVERTISING sales@tacomaweekly.com Tacoma Weekly is interested in what is happening in our community. Please send your news and story ideas to the above address or e-mail us. Following the scoping period, which ends May 1, the Sound Transit Board will consider comments received and other information to identify a preferred alternative for routes and stations, as well as other alternatives, to evaluate in the Draft Environmental Impact Statement (EIS). The final EIS will respond to comments received on the Draft EIS. The EIS process will document the Tacoma Dome Link Extension’s potential impacts on the natural and built environment and will take about three years to complete. The regional light rail extension from Federal Way to the Tacoma Dome will be 9.7-miles of elevated and at-grade light rail from the Federal Way Transit Center to the Tacoma Dome with a new bridge crossing the Puyallup River. It includes four new stations located in south Federal Way, Fife, east Tacoma and the Tacoma Dome. The new regional light rail line is schedule to open in 2030. More information on the project and public involvement process is available at www. soundtransit.org/tdlink In addition to the Tacoma Dome Link Extension, Sound Transit is simultaneously working to extend regional light rail north, south and east, opening new stations every few years to form a 116-mile regional system by 2041. The agency is on track to open extensions to Seattle’s University District, Roosevelt and Northgate neighborhoods in 2021, followed by service to Mercer Island, Bellevue and Redmond’s Overlake area in 2023. Additional extensions to Kent/Des Moines, Federal Way, Shoreline, Mountlake Terrace, Lynnwood and downtown Redmond are planned to open in 2024. Further regional light rail extensions are scheduled to reach West Seattle in 2030; Seattle Center, South Lake Union and Ballard in 2035; Paine Field and Everett in 2036; and South Kirkland and Issaquah in 2041. Dry Cleaning Services Friendly, knowledgeable garment experts! Once your clothes are left in our care, you can trust that they’ll be carefully inspected & handled from start to finish. Your clothes will be returned packaged, clean & ready to wear. Pickup and Delivery Free service to your front door. This rendering shows what the building will look like when completed. come in Tacoma, the rent on studio apartments, as of April 1, including utilities, cannot exceed $1,046. Reines said none of the rents on studio apartments is projected to be above that figure. The proximity of the building to light rail, Sounder commuter rail and the Tacoma Dome Station, which serves numerous bus routes of Pierce Transit and Sound Transit, was appealing to the developer. Many of the future residents will likely use mass transit in their commute to work. Framing is currently being done. Reines said on a typical day, 30 to 40 construction workers are on the site. The primary contractor is Geacon Construction. Reines said there is already a waiting list for apartments. The building should be ready for residents and a business tenant by the fall. BULLETIN BOARD CAREGIVING FILM EXPLORES DIFFICULT CHOICES FOR ILL FAMILY MEMBERS Families always want the best for their loved ones. When it comes to caregiving, most decisions are made out of love, concern and the desire to respect the wishes of the partner. Occasionally, that sense of commitment and devotion can cloud judgment on what may be best in the long run. Pierce County Aging and Disability Resources is offering another film in our caregiving series. “What they Had” will show on Saturday, April 13, at the Grand Cinema, located at 606 S. Fawcett Ave. in Tacoma. Doors open at 10:30 a.m. and the film begins at 10:45 a.m. Complimentary popcorn will be provided. The film is free, but tickets must be obtained in advance online or by calling the Aging and Disability Resource Center (ADRC) at (253) 798-4600. “Most caregivers are incredibly dedicated,” said Aaron Van Valkenburg, Pierce County Aging and Disability Resources manager. “But that dedication can sometimes cloud good judgement. Over time things change and different levels of care are needed. It can be challenging to see those changes and adjust expectations and assurances that were made earlier.” “What They Had,” starring Hilary Swank, Blythe Danner and Robert Forster, is about a family in crisis as progression of a disease and the need for care reach a tipping point. It is rated R for language, including a brief sexual reference. This film explores the crisis that can happen when family members find themselves caught between the bonds of love, promises for care and now the realities of declining health. Pierce County Aging and Disability Resources offers this film as part of our Family Caregiver Support Program. The program helps unpaid family caregivers with a variety of supports including education, counseling, adaptive equipment, housework and errands services and respite care. People can learn more about the program by calling the ADRC at (253) 798-4600. Among those continuing to oppose the LNG facility is the Puyallup Tribe, which issued a lengthy statement, as follows. Tacoma Weekly reached out to the tribe with a list of pertinent questions, but received no response. When asked about the tribe’s opposition and whether legally required consultation with the tribe has occurred, PSCAA and PSE declined to comment. thorities with safety concerns identified by an expert, but received no response from the State or City. Today’s FSEIS document does not address all the changes made to the project after it was subjected to environmental review. The Puyallup Tribe has documented no fewer than seven major alterations to the project since the draft EIS was conducted—changes that have happened without our review, input, or agreement. In fact, the FSEIS relies on several of these substantial changes to make its determination, finding a net benefit for greenhouse gases emissions if gas for the project is sourced from western Canada. These changes should be addressed in a Supplemental Environmental Impact Statement as required under the law by the City of Tacoma or the State of Washington or both. The FSEIS published today wrongly concludes that the project would not be harmful, based on outdated assumptions, limited scope and flawed methodology – errors that were pointed out during the public comment period. Fracked gas infrastructure like Tacoma LNG is far more harmful than previously thought because climate-damaging methane leaks are so prevalent and because fracking drives so much gas production today. “Today, we call on Governor Inslee and the Washington Department of Ecology to initiate a supplemental review. On behalf of the Puyallup Tribe of Indians,” said Sterud. “We demand a legitimate review that honors the Tribe’s legal rights to consultation, that evaluates the many changes to the project, and that fairly weighs the science of methane leaks from fracked gas infrastructure. 25% OFF YOUR CUSTOM FRAMING! WE FEATURE THE LARGEST SELECTION OF “MADE IN THE PACIFIC NORTHWEST” MERCHANDISE IN THE REGION We ship for you! Calling 911 is important because medical treatment can begin upon arrival by paramedics. Stroke used to be the fourth-leading cause of death in the country; now it’s the fifth. Advances in treatment have helped many stroke survivors, but time is still of the essence. Knowing the warning signs and getting help quickly can make a huge impact on the outcomes for a stroke patient. Laura Pugh is an ambassador for the American Heart Association’s Puget Sound Division and part of the 2019 class of Real Women for the national Go Red for Women campaign. WITH OUR NEW 2019’S! Fife RV Center carries Coachmen, Forest River, Gulf Stream, Newmar, Prime Time and Pacific Coachworks models including Mirada, Pursuit, Forester, Gulf Breeze, Tracer, Vintage Cruiser and Blaze’n. We offer hundreds of recreational vehicles from the top selling manufacturers of Diesel, Class A, Class C, Fifth Wheels, Travel Trailer and Toy Hauler units. Our Service Center is staffed with experienced and courteous technicians who are qualified to handle all of your recreational vehicle service, repair, parts, accessories and maintenance needs. casino set to open soon? What will be done to counter-balance the heavy increase in traffic pollution brought to the area and tons of trash that the casino will generate? And what happens when the media tries to speak with major players like Puget Sound Energy, Puget Sound Clean Air Agency and the City of Tacoma about the tribe? We’ve asked them all if the tribe’s apprehensions toward LNG are legitimate or false and we get no comment. No one will talk about it. No one wants to confirm or deny the tribe’s reactions to LNG, much less the tribe’s hypocritical stance on the environment, nor anything at all that may criticize or challenge the tribe on any level. This begs the question, “Why?” Are our local leaders afraid of the tribe? Afraid to rock the boat by speaking truths or even suggesting that the tribe needs to check itself? Or maybe it’s a lip-service thing – invite the tribe to take part in big, important projects, pat them on the head and walk away knowing that they’ve done their legal duty with all the feel-goods for bringing native tribes to the table without ever really intending to take them seriously. In the end, it all spells a big disservice to the public, as sovereign tribal nations should be held just as accountable and transparent as all other levels of government. If it’s allowable to examine and question the actions of county, city, state and federal government, why is it such a no-no to do the same for the fifth government entity among us: tribal nations? They are a major player in everything that goes on around them, so why should they be permitted to exist outside of the standards applied to all other government entities? Treating them with kid gloves is just plain wrong and does nothing to further candid conversations or foster open and honest government across the board. 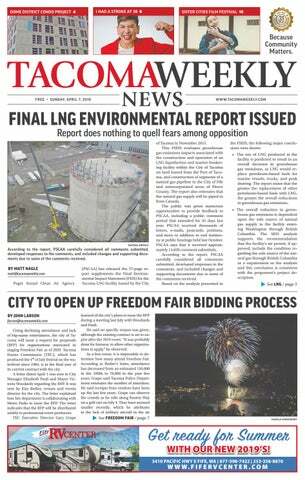 The Puyallup Tribe needs to wake up and stop with digging their heels in over LNG. They need to remember that 99 percent of their revenue comes from across their borders – customers spending paychecks at their casino and fueling up at tribal gas stations. Business at the Port drives our local economy in big ways that the tribe benefits from, too. Don’t disrupt a good thing for the rest of us. This also should serve as a wake-up call to tribal youth. The old ways of doing things, with public protests rather than joining in to find solutions together, puts the tribe on the outside looking in. Times have changed, and the old methods simply don’t fly anymore. Better to be part of the solution than part of the problem. to listen to the other side – both geographically and politically. But now, an analysis in The Atlantic magazine shows the Seattle area is one of the least politically tolerant regions in the country. Policies have consequences, even more so in Eastern Washington, where lower taxes and fewer government burdens are waiting just a few miles away. Consider that in 2016, Washington was the 17th highest state in state and local tax collections per capita. Idaho was the fifth lowest. Thanks to the high tax, regulatory and government burden on daily life, states like New York, Illinois and California are losing hundreds of thousands of residents. Washington does not have that distinction yet, but the alarm bells are sounding. According to a North American Moving Services, migration patterns now show Washington is a top outbound state. People, and businesses, can vote with their feet. That sound you hear might be citizens starting to put on their shoes. Chris Cargill is the Eastern Washington director of Washington Policy Center. the edge going into game one. The veteran catcher, who spent some time in Seattle in 2018, gives the Rainiers a solid defender and a good handler of pitchers. With a good collection of veterans and good young talent up and down the roster, the Rainiers are poised for a good run for the postseason. Taking into consideration the call ups and send downs at different points of the season, summer time at Cheney Stadium could be the place to be in Tacoma in 2019. What can you learn about senior living at our Lunch and Learn? A whole bunch. Ask questions. Take a tour. Ask more questions. Try the food. Ask even more questions. You get the idea. It’s casual, it’s complimentary and you’re invited. Narrows Glen’s next Lunch and Learn is Thursday, April 18th at 11:00am. Please call 253.256.1543 to RSVP. AIRPORT TAVERN: Funk jam GREAT AMERICAN CASINO: Afrodisiacs (Disco covers) 9 p.m., NC JAZZBONES: Gene Lee, Wesley Holmes, Bilory, 9 p.m., $10-15 LOUIE G’S: Champagne Sunday, Kismit, Xolie Morra & the Strange Kind, Rachelle DeBelle & the Jamfest Miracles, 7 p.m., $10-$12, AA PLAID PIG: Hellbound Glory, The Truck Bed Boys, Cottonwood Cutups, 9 p.m. SWISS: Late September Dogs, Payday Rich, The Double Cross Committee, 9 p.m. UNCLE SAM’S: Rif Raff (Classic rock) 8 p.m. VALLEY: Voidthrone, Goon, Kihalas, Effluvia, 8 p.m.
ALMA MATER: Walking Papers, The Black Tones, The Bird Hex (Rock) 8 p.m., $18-20 GREAT AMERICAN CASINO: Rhythm & Brown, 9 p.m., NC JAZZBONES: Petty Thief (Tom Petty tribute), The Neil Youngs (Neil Young tribute) 8 p.m., $15-20 LOUIE G’S: Problem Child (AC/DC tribute), Blistered Earth (Metallica tribute) O’MALLEY’S: Boogie Chillin, 9 p.m. PLAID PIG: Das Helm, Gold Sweats, Deathcave STONEGATE: The Nasty Habits, 9 p.m. SWISS: Prom Date Mixtape (80s covers) 9 p.m. VALLEY: Dust Mob, Blunt Force, Cheap Smokes, Porch Cat, 2 p.m.
JAZZBONES: Rockaraoke, 9 p.m., NC SWISS: Chuck Gay (Open mic), 7 p.m., NC UNCLE SAM’S: Lolo & Friends ( Jam) 8 p.m.
UNCLE SAM’S: SOB ( Jam) 8 p.m.
STONEGATE: Justin McDonald (Open mic) 8 p.m. UNCLE SAM’S: Subvinyl Jukebox (Rock jam) 7 p.m. VALLEY: Rock ‘n Roll Suicides, 8 p.m.
ROCK THE DOCK: Dustin (Open mic) 8 p.m. UNCLE SAM’S: Jerry Miller (Guitarist) 7 p.m. VALLEY: Tom Bennett, Billy Stoops (Country/blues), 8 p.m.
are both based on the same research. The list simply mentions that Lou Johnson was a clothing store owner and hat maker. Some of her hats are on display. THS will donate 1,400 copies of the book to Tacoma Public Schools and another 1,400 to various private schools in the city. They will be used as educational tools when children study local history. The profiles of each woman are rather brief at just two pages, so they may not satisfy the more voracious history buffs in town. At 50 pages it is a quick read, and would appear well suited for children in fifth or sixth grade. Another page recognizes the local women who made donations to cover the cost of the book and its distribution. Several organizations also contributed, including General Federation of Women’s Clubs, Tacoma/Pierce County League of Women Voters, the Mary Ball Chapter of the Daughters of the American Revolution and Columbia Bank, in honor of its late co-founder and CEO Melanie Dressel. The book can be purchased at Tacoma Historical Society, located at 919 Pacific Ave.
Aalesund – Norway committee. In the year 1206, Norway is ravaged by civil war. The king’s illegitimate infant son, Håkon Håkonsson, which half the kingdom wants killed off, is guarded in secrecy by two men. This is a story that changed the course of the country’s history. Info: www.magnetreleasing.com/thelastking •	7-8:50 p.m. “Sofia,” directed by Meryem Benm'Barek-Aloïsi, subtitled drama (80 min. ), 2018, Sister City: El Jadida, Morocco, presented by El Jadida, Morroco Committee. Sofia, 20, lives with her parents in Casablanca. Suffering from pregnancy denial, she finds herself breaking the law by giving birth to a baby out of wedlock. The hospital gives her 24 hours to provide them with the identification papers belonging to the father of the child before informing the authorities… Info: www.beforfilms.com/ sofia Sunday, April 28: Each movie will be followed by 20-30 minutes of cultural activities. •	11 a.m. to 1:35 p.m. “Youth,” directed by Xiaogang Feng, subtitled drama, (135 min. ), 2017, Sister City: Fuzhou, China, Presented by Fuzhou – China committee. “Youth” chronicles the lives of a group of idealistic adolescents in a military art troupe in the People’s Liberation Army during the Cultural Revolution. They experience love, lust, betrayal, and sufferings in the background of Mao-era songs and dances. The two key characters, Feng Liu and Xiaoping He, also participate in the SinoVietnamese War in 1979 and become heroes for their act of courage. After the war, they are honorably discharged from the Army but struggle to make ends meet in the Reform-era China while they learn lessons from soul-crashing experiences of love, lust, betrayal, and heartbreak. Info: www.beforfilms.com/sofia •	2-3:30 p.m. “My Life as a Zucchini” (“Ma vie de Courgette”), directed by Claude Barras, partially subtitled, comedy/drama, (70 min. ), 2016, Sister City: Biot, France. After losing his mother, a young boy is sent to a foster home with other orphans his age where he begins to learn the meaning of trust and true love. Info: gkids.com/films/mylife-as-a-zucchini •	4-6:18 p.m. “Scandal Makers,” directed by Hyeong-Cheol Kang, subtitled comedy/drama, (108 min. ), 2008, Sister City: Gunsan, South Korea. A radio DJ/ entertainer in his 30s suddenly learns he may be a grandfather, thanks to a young girl who has a baby son and claims to be his daughter. For further information and to purchase tickets, go to www. tacomasistercities.org or search Tacoma Sister Cities Film Festival on Facebook. Goop: Compulsory Self-Care and Commodified Feminine Bodies.” Motivated by a desire to feel secure in – and in control of – our bodies, many women turn to products that promise youth, peace, productivity, and even sexual satisfaction. In this Think and Drink, Nutter will explore how compulsory self-care and the obligatory pursuit of wellness became big business in an anxious and unpredictable political era. If you’ve ever wondered why putting 17 potions on your face is a prerequisite to self-love and empowerment (but paid maternity leave is not), grab some rosé while we deconstruct the consumer narratives that have come to define healthy womanhood. Nutter has been a lecturer in communication at UWT for six years. With a PhD in mass communications and women’s studies, she teaches a range of courses in critical media studies. Her current research explores commodification, politics, and identity in online spaces. Price: Free. Info: www.facebook. com/events/1139446972881621 GROWING UP COY: A FILM & CONVERSATION Wed., April 10, 5-7 p.m. Tacoma Rainbow Center, 2215 Pacific Ave., Tacoma The Rainbow Center, PFLAG Washington State Council and PFLAG Tacoma, invite you to The Rainbow Center for a showing of “Growing Up Coy.” The film will be followed by a panel discussion. Snacks and drinks will be provided. “Growing Up Coy” is a feature-length documentary about a young Colorado family who engages in a highly publicized legal battle and landmark civil rights case, as they fight for their 6-year-old transgender daughter’s right to use the girls’ bathroom at her elementary school. The film asks a universal question that any parent could face: “How far would you go to fight for your child’s equal rights?” The Rainbow Center is a proudly queer, anti-racist community center. We are committed to providing an inclusive environment that reflects the community we serve. The Rainbow Center is wheelchair accessible and offers ADA-compliant, single stall restrooms. If you need further accommodations, please submit a request to Bre at (253) 383-2318 or bre@rainbowcntr.org, at least three business days prior to the event. Price: Free. RSVP required: www.facebook.com/ events/2330220553927124 TACOMA CREATES COMMUNITY CONVERSATION: FOCUS ON THE SCIENCE COMMUNITY Wed., April 10, 5:30-7:30 p.m. Check in and mingle: 5:30 p.m. Overview of Tacoma Creates: 5:45 p.m. The Facebook ad shown here is part of a five-figure campaign in support of legislation to lower drug prices. prices. The interactive digital tools allow residents to contact their senators and representatives in support of the proposed changes. Learn more at www.fightcancer.org/states/washington. tween ages 18 and 21, and the longer we can keep tobacco products away from them, the less likely they will start. In fact, 95 percent of adults who smoke begin before age 21. “We’re struggling with an epidemic of youth e-cigarette use, which has risen almost 80 percent nationwide in the past year. By raising the age of sale for all tobacco products, including e-cigarettes, we will help keep these products out of high schools so that youth in our state can live longer, healthier lives. Unless current smoking rates in Washington decline, 104,000 kids in our state who are alive today will eventually die from a tobacco-related illness.” If signed into law by Inslee, Washington will become the seventh state – in addition to Washington, D.C. – to implement effective legislation supported by ACS CAN to raise the tobacco sales age to 21. Excellent North Tacoma commercial building! Price includes F, F & E. 5400 SF plus parking for 20+! Free Estimates If my work isn’t awesome, then I’m not done yet. Old Post Cards, Photo Albums, Menus, Shipping, Railroad, Airplane Automobile Items, Old Pens, Watches, Costume Jewelry, Quilts, Toys, Musical Instruments, Native American and Any Small Antiques. Serving all your hauling needs. We will haul anything at any time. McMenamins Elks Temple is now hiring: Line Cooks, Dishwashers, Bartenders, Hosts/Food Runners & Security Staff! Help Wanted Infoblox Inc. seeks a Salesforce Developer in Tacoma, WA, to work within the IT Applications team to develop code to support changes/enhancements in Saleforce. Masters. deg. in Comp, sci., elec. Eng., IT or related and 2yrs. exp. in IT related fields req. Send res. to M. Edwards, Infoblox, 2106 Pacific Avenue, 6th Floor, Tacoma, WA 98402, w/ref to CUPA. We are an EOE. Apply online at www.mcmenamins.com/jobs. You can also stop by any of our locations (with the exception of Elks Temple because it is not open yet) to ﬁll out an application and mail to 430 N. Killingsworth, Portland, OR 97217. No phone calls or emails to individual locations please. E.O.E. VOLUNTEER MORE, TWEET LESS CHI Franciscan Hospice and Palliative Care has some great ways for you to serve the community and make meaningful connections. Those near the end of life need help with living. If you have 1-4 hours a week to read to someone, listen to their stories, run errands, make phone calls, or welcome people to our hospice facility, then we have several opportunities for you. Join us in the new year for trainings scheduled in January and March. Log onto www.chifranciscan.org and click “hospice and palliative care” in the “our services” tab to learn more. Or call James Bentley at 253-538-4649 #PROJECTFEEDTACOMA There are about 2,000 homeless in Tacoma and about 1.000 beds. Many are families with children. Please help #PROJECTFEEDTACOMA to provide some basic necessities. All items donated will go directly to people on the street. PROJECT FEED TACOMA is 100% volunteer. This is a true grass roots organization and they really need your help. For more information and to find more go to www.projectfeedtacoma.org. Can you help with some urgent needs as winter approaches? Here are some suggestions and a huge THANK YOU! Needed: Warm Socks for Men, Women and Children; Warm Hats; Gloves; Peanut Butter and Jam/Jelly; Crackers, Chips and non-perishable snacks; Individually wrapped granola bars or protein bars; cookies; lotion; lip balm; tampons and sanitary napkins; wipes; soap, shampoo and conditioner; gallon sized freezer bags. A BIG THANKS TO THE COPPER DOOR FOR ALLOWING PROJECT FEED TACOMA TO COLLECT DONATIONS THERE. SEEKING FREELANCE ARTIST We are seeking a freelance Production Artist to work 16-24 hours a week. The Production Artist is responsible for a variety of graphic production projects in print, including ad building and page layout. The ideal candidate must possess creative design skills and have the ability to both work from home and in the office occasionally. The position also requires the ability to communicate and work effectively with sales, editorial and production staff to meet deadlines. Established Paciﬁc Northwest Company, McMenamins, will be hiring for our historic destination, Elks Temple, opening April 2019 in Tacoma! Located near mass transit among downtown arts, shopping, and entertainment destinations, the renovated historic hotel includes a pub, brewery, music venue, game room, and bars. Ideal apps excel in a fast-paced, customer-oriented enviro and possess stellar customer service skills. Flex scheduling available including days, evenings, weekends, and holidays is required. We offer excellent beneﬁts such as medical, dental, vision, alternative care, and more to eligible employees. Wanted: Volunteers for groceries. The Empowerment Center currently has a limited number of openings for volunteers in our food bank. These positions will be filled on a first come, first served basis. Come volunteer and receive free groceries! El Shaddai Christian Ministries/The Empowerment Center, 4340 Pacific Ave., Tacoma WA 98148. For more information contact us at 253-677-7740. City of Fife Needs You! We are looking for passionate applicants for open positions on our volunteer Boards and Commissions. Openings are on the Arts Commission, Parks Board, Tree Board and Youth Commission. Applications are accepted year round. Online Application: www.cityoffife.org/getinvolved.